A very heavily cast circular bronze basin of good size, the rim elevated in four sections from the flat, slightly recessed base. 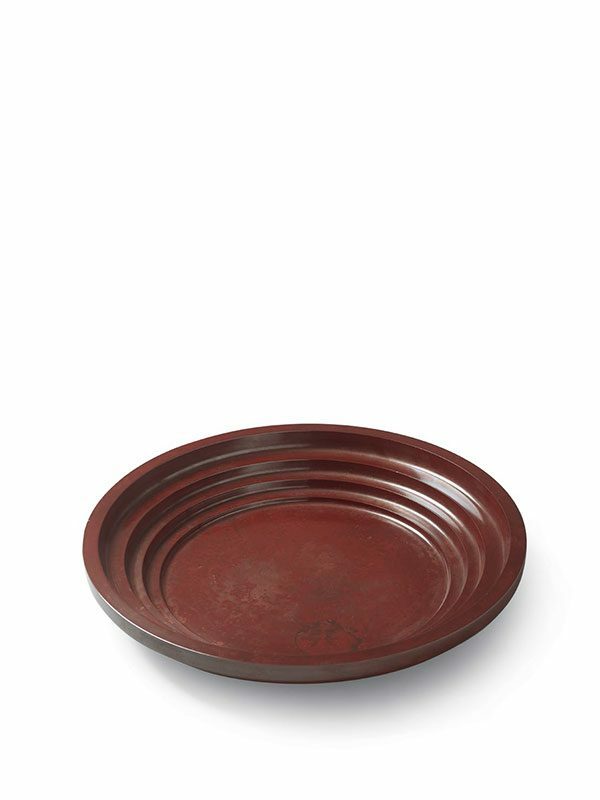 The basin is completely undecorated and has a fine reddish-brown patina. The base has a tiny circle in the centre.